The Friday 13th strike of Deliveroo riders comes as part of a wider wave of international riders’ struggles, with other similar developments including a strike in Paris this week. The IWGB are also busy in other sectors, having just launched a branch for self-employed electricians – having seen the impressive levels of militancy and self-organisation among some electricians in recent years, this could be one to watch. Meanwhile, their members at the University of London are still fighting against outsourcing, as well as against an openly racist manager who praises Enoch Powell and Tommy Robinson. 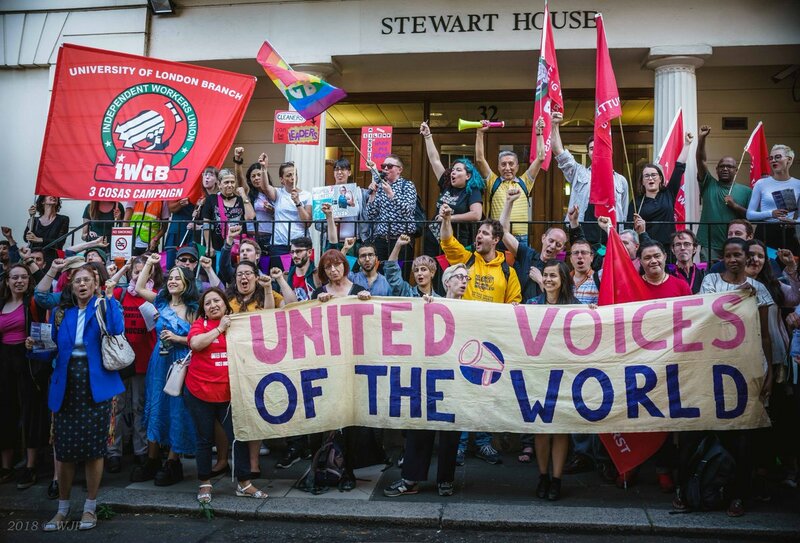 In other grassroots union news, self-organised cleaners’ union UVW is set to see three simultaneous strikes for the London Living Wage at the Ministry of Justice, HCA Healthcare and the Royal Borough of Kensington & Chelsea. Donations to their strike funds will be very welcome. The IWW branch in Manchester recently helped a bar worker win £700 in unpaid holiday pay, and Manchester SolFed are also keeping busy, running regular drop-ins for people to discuss workplace and housing issues as well as being in dispute with Fortis Student Lettings. Down in Brighton, the SolFed group there have just won backpay and compensation for a hotel worker who was exposed to dangerous working conditions. In more mainstream union news, the Wigan NHS strikes have ended after the workers’ action saw off the threat of outsourcing and guaranteed that their jobs would remain in the NHS. Two of the three Picturehouse workers who were sacked for their role in organising their workplace have just won a tribunal finding that they were unlawfully dismissed, although a third was unable to bring a case as they didn’t have two years’ continuous employment, which shows the limitations of these kinds of legalistic routes. The long-running RMT “Keep the Guards on the Train” dispute is likely to see further strike action at Southern Railway on Tuesday July 17th, and at Northern Rail on Saturday 21st. Staff at London Underground’s Ruislip depot are also due to strike over pay from the 12th-15th of July. Elsewhere, staff at Swansea Royal Mail have just voted to strike in defence of a colleague who was unfairly sacked. It’s not immediately clear where there’s any direct connection between the Swansea dispute and the other South Wales post workers who staged a wildcat strike a few weeks ago. Up in East Dunbartonshire, a mass strike by council workers against attacks on their terms and conditions is currently suspended for negotiations, while strike action by Kirklees bin workers against bullying and harassment by management seems set to resume, following a few days of action that have already seen strikers hassled by private security with dogs. In antifascist news, the Anti-Fascist Network have published an update on the upcoming counter-mobilisation to this weekend’s Free Tommy protests in London. The next few days will obviously see all kinds of anti-Trump events across the country, as well as the big Miners’ Gala up in Durham. Meanwhile, the Rebel City collective in London are asking for funds so they can keep producing the capital’s regular anarchist print paper. In prison/anti-repression news, recent days have seen a variety of new organising resources become available. The UK’s Incarcerated Workers Organising Committee have released the first issue of their newsletter, The Imprisoned Worker, along with a new collection of prisoner writings on prison abolition. Freedom Press are printing fundraising shirts for Palang Hitam Anarchist Black Cross and the imprisoned anarchists in Indonesia. 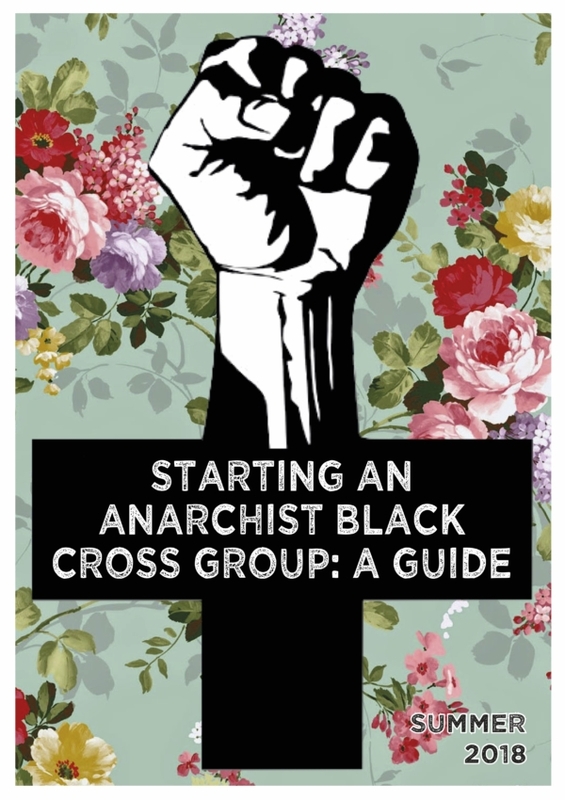 A number of international Anarchist Black Cross groups have got together to produce a guide to starting your own ABC group. And over in the US, a newsletter has been produced for the upcoming prison strike, Oakland Incarcerated Workers Organising Committee did an interview on how to run an effective call-in/phone zap action, and the San Francisco Bay View, a newspaper that’s been absolutely vital to prison organising efforts in the past, is still appealing for funds to get their next edition printed. This entry was posted in Anarchists, Protests, Racism, Repression, Strikes, The right, Unions, Work and tagged Anti-Fascist Network, Bristol Anarchist Black Cross, CWU, Deliveroo, Incarcerated Workers Organizing Committee, Indonesia, Industrial Workers of the World, IWGB, IWGB Couriers and Logistics Branch, Picturehouse Living Wage, rmt, Solidarity Federation, United Voices of the World, University of London. Bookmark the permalink.